Senator Grassley has served as one of Iowa’s U.S. Senators since 1981. He places a high priority on constituent services, helping Iowans to cut red tape and navigate federal services, from Social Security to veterans’ benefits. He holds the record for the longest consecutive voting streak of any senator in the history of the country. He has not missed a vote since 1993 when he returned home to survey historic flood damage. 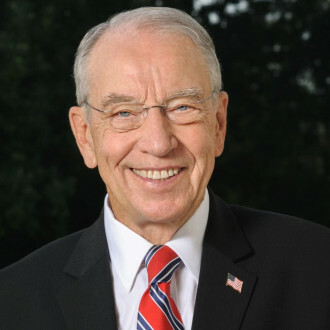 Senator Grassley has conducted at least one meeting in each of Iowa’s 99 counties every year since his public service began in the U.S. Senate. He says “dialogue is the essence of representative government” and that’s why he keeps his commitment to keep in touch with Iowans by every means available. He responds to every phone call, letter, and email from Iowans, and communicates extensively via social media (Facebook, Instagram, Twitter, website) to connect directly with constituents. Senator Grassley also prioritizes accessibility with journalists as another vital means to communicate and hold himself and government accountable to Iowans. 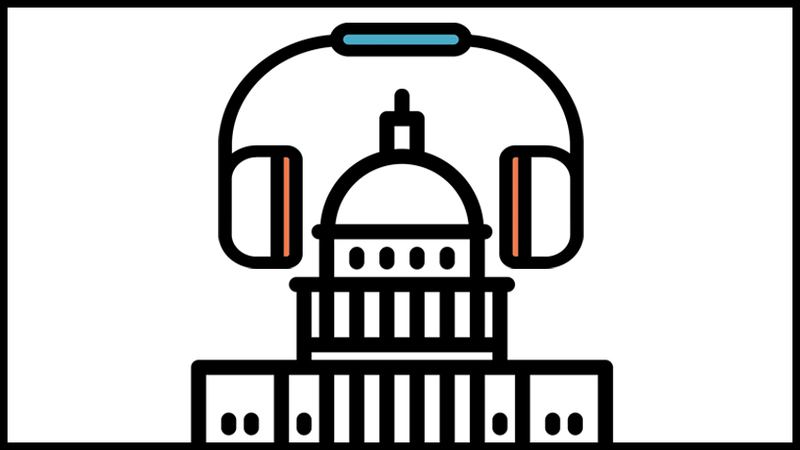 Countless congressional hearings, policy debates and constituent feedback shape Senator Grassley’s expansive legislative expertise for Iowa’s benefit. For policies impacting health care, taxes, trade, transportation, agriculture, renewable energy, criminal justice, elder justice, foster care, illegal drugs, human trafficking, the federal budget, patent reform, education, national security and the federal judiciary, Chuck Grassley works to make a difference for Iowans. 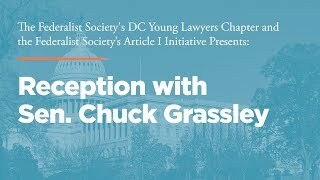 As chairman of the Senate Judiciary Committee, Senator Grassley understands the critical role Congress serves in our system of checks and balances. No matter which political party controls Congress or the White House, Senator Grassley conducts robust oversight of the federal bureaucracy and expects answers from the executive branch. Using his key committee assignments to benefit Iowans, Senator Grassley works to lessen excessive regulatory and tax burdens that make it harder for families to get ahead and stay ahead. Our nation’s founders established a constitutional framework for economic freedom, innovation and opportunity to limit government’s role in society. His work on the Senate Budget and Finance committees is driven by an acute understanding that Washington can’t spend, tax and borrow America’s way to prosperity.